Did you know that American Veterinary Hospital is one of the very few veterinary practices in Simi Valley that is family owned and operated? We are proud to be unique in this way. Visiting a locally owned veterinary practice is a great way to support your community and to ensure that you are getting the best possible care for your pet. There are a number of perks to a family owned and operated vet! At American Veterinary Hospital, you know that your pet is receiving the best quality care there is. 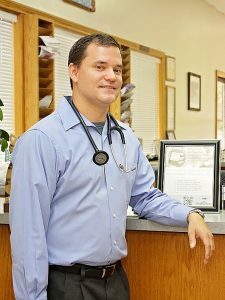 Each time you visit us, your pet will be treated by a veterinarian, Dr. Luis D. Cruz, knows your pet’s history. Your pet will also be much more comfortable seeing a team of individuals who they are familiar with and who are excited to take care of them! Locally owned businesses build and maintain strong communities. Local ownership means that we make decisions which are best for our community and our neighbors. You will be supporting our town by placing revenue into local businesses. Cycling money back into the local economy is a great perk of visiting a practice like ours! We know that you love your pets. Our ability to get to know and care for your pets is important to us. Those who visit our practice all know that they are supporting their pets’ health and happiness by taking them to a veterinarian that is committed to their needs. Being a part of this group means that you will be a member of a community who loves their pets as much as you do! We own this business and are proud to do what we do. We are excited to see your pet each time, and we know that your pet will be happy to see us, as well! 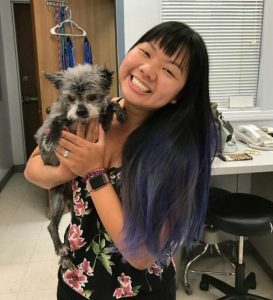 We bring our enthusiasm and love for animals to each visit, and you can trust that your pet’s individualized needs will be met. Because we are independently owned, we make decisions that are purely for the benefit of your pet. We are able to do what we believe is best without any of the restrictions that other practices may have. This means that your pet is getting the treatment and care that they need, and you can be sure that it will be to your pet’s greatest benefit. We here at American Veterinary Hospital in Simi Valley are proud to be 100% local! We provide the best possible care that we know how, under our rules. American Veterinary Hospital invites you to contact us to learn more about what it means to visit a locally owned vet. From our family to yours, we are excited to help you and your pet! Give us a call today at (805) 581-9111 to schedule an appointment.